TeleMedTrack is a software platform designed for Telemedicine Networks within a Hospital system. Our software streamlines communication workflows between the call center and remote providers or staff. Communication is done using modern cloud technologies while recording all conversations and logging timestamps. Additionally, we provide a simple documentation framework for providers, making the data collection processes straightforward and manageable. The software can deposit provider documentation into the health system's EHR software when complete. Avedis is developing powerful tools in the telemedicine industry using modern mobile communications and cloud technologies. Our “data first” approach strives to empower telemedicine networks to easily collect meaningful quality data to improve the health of their patients. By streamlining workflows throughout the care continuum, all telemedicine network stakeholders benefit from our real-time data platform. Group messaging and communication, simplified documentation and real-time quality data. 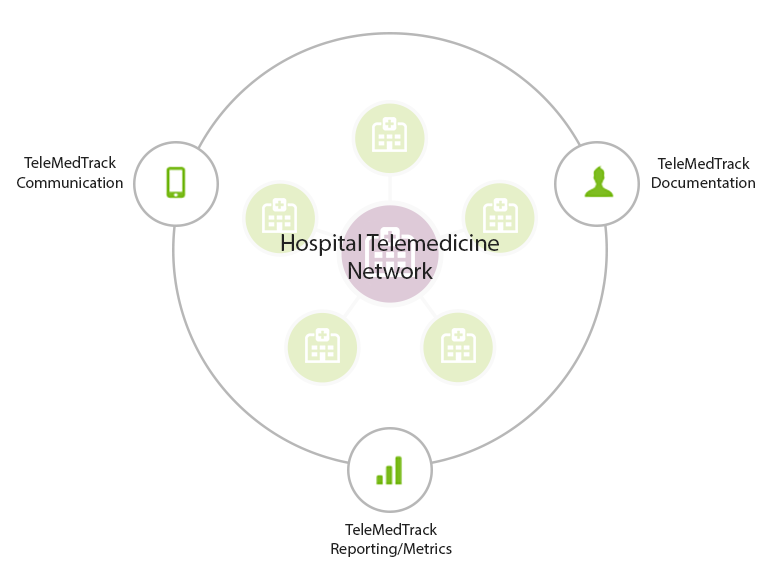 TeleMedTrack was designed to accommodate large or small telemedicine networks. The software is modular and can scale up or down using modern cloud technologies using all or some of it's features. Elegant solutions for group messaging, digital voice calls and streamlined data collection for call centers, staff and providers. Centralized, modern web-based documentation solution with simple distribution and integrated quality metric data collection. Measuring the impact of Telemedicine services couldn't be easier by collecting network events throughout clinical workflows. TeleMedTrack can help solve the challenges encountered in various workflows within Telemedicine. Each role and workflow has been designed from the input and feedback from our telemedicine customers. Call Centers send Alerts to Providers and staff, enabling Providers to respond though the software. All responses are logged and visible for staff on the "Live" Dashboard. Care team staff can be notified when Alerts are sent to Providers and remain informed during all communications surrounding a patient. Providers receive Alerts on their mobile devices and can communicate with Call Center and staff. 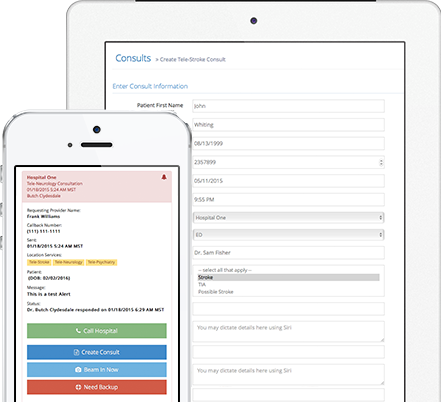 Providers can complete and submit their consults using a simple Documentation process. Administrators and managers can access robust reporting and real-time quality metrics. The "always live" data can be aggregated to reports very easily. Avedis is committed to ensuring our customers are successful. We designed the TeleMedTrack platform to provide software tools to streamline workflows and processes, we also wanted to provide reporting and feedback systems within the software so our customers can understand how successful their networks are performing. Quality and process improvement are key to growing and maintaining any organization and we feel our software can help with this process. TeleMedTrack is a secure, HIPAA compliant software platform. We have partnered with the best vendors in the industry to ensure your environment, information and data is safe and always secure. We are committed to providing our customers with a stable and always running platform. Our 24/7 support policy speaks to this commitment and dedication. Our software platform is backed by a strict 24/7 support policy. We are committed to have your application always active serving your staff and organization. If there are support issues that come up, we have several methods to contact us to resolve the issue as quickly as possible. Schedule a Demo to see all TeleMedTrack features! We'd love to talk with you! Call, email or enter your information and we will contact you to schedule a demo. Come See Us at ATA 2018! We are attending the American Telemedicine Association conference in April 2018 in Chicago. Come by our booth and talk to us! We'd love to demo our software and find out how we can help your organization.